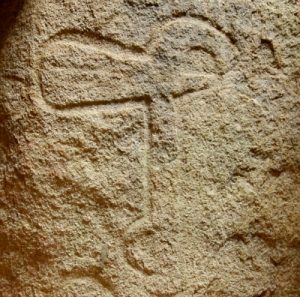 As a symbol stone axes are found as carvings in several passage tombs in Brittany. Hafted axes are found for example in: Mané Kerioned, Kerran, Mané Lud, La Table des Marchands, Manio and others. In Britain carved axes on Megalithic structures are rare and only two places are known: the central stone of the Boscawen-ûn stone circle in Cornwall and the carvings in Stonehenge. 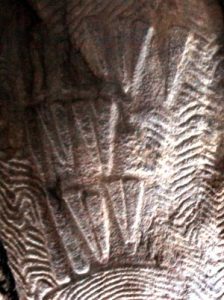 Shee Twohig  argues that axe carvings in Breton tombs are often found together with bow carvings in the antechamber and could have had a kind of guardian function.